We’ve all heard a lot about Klout recently, so you’re wondering what all the fuss is about. They’ve also recently received over $8 million of capital funding, which further raises their profile. What Klout does is it measures your social media influence online, this based on your Facebook, Twitter, LinkedIn, and other prominent social media sites activity. Klout measures your participation and interaction levels based on the volume of Likes, Retweets, and Comments etc., that you receive, which determines what your Klout score is. Klout can be an useful gauge for businesses who are wanting to track their exterior influence on the web. Since it’s based on a measured scale algorithm model, a business or individual is able to track their social media accounts directly through Klout, and then compare their improvement or decreases over a period of time. But how much clout does Klout actually have. The score that you receive from Klout is limited just to the major social web mediums, and it doesn’t measure your real life interactions, or your other online activities. Klout quantifies your online influence which determines the effectiveness of your reach on the social web, this provided that it’s measurable since it’s primarily based on how much feedback you receive. Klout will also measure the size of your various social networks, and how individuals interact with the content that you create and submit. This score will range anywhere from 1 to 100. So if your current score happens to be “1,” you’re most likely a grandmother who’s never used or been on the Internet, while if your score is somewhere in the 90’s, you’re extremely active, most likely famous and visible on the social web, such as: Lady Gaga – 93, Rihanna – 90, or Katy Perry – 89. Not scoring a high Klout number isn’t the end of your online social media life by any means. The Klout score is just a mathematical gauge where you or others can place a figure on the success of your social activities. What Klout does is it will measure the number of times that you’re mentioned, and the more that you are, the higher that your score will be. So if your @name happens to be mentioned, or appears in a lot of tweets, others may click on it just to find out who you are, and may even decide to follow you. The easier that you make yourself found, it makes it that much more convenient for others to connect with you. So when you do tweet or retweet, make sure that you also use other people’s @names as well, and most likely, they’ll begin using yours back. The more retweets that you generate, equates into a higher Klout score, along with generally much broader exposure. So when you create tweets, make sure that you write them interesting enough so that others will want to retweet them. Also try keeping your original tweet around 75 characters in length, this because it will leave others, who are wanting to retweet, enough room to add a brief comment, which allows them to retweet your original tweet, without needing to edit. Twitter chats are based on specific topics which are usually influenced by important, or well known individuals, and engaging with these famous folks is always a good thing. So find out when the next Twitter Chat in your specific industry or niche is, as they can be an excellent method of connecting with others who are in your field. Also, as a bonus, those connections along with the conversations will improve your Klout score as well. 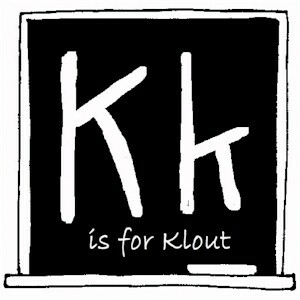 What Klout does is it draws data from all the major social networks, such as: Facebook, Twitter, Google+, LinkedIn, YouTube, Pinterest, Foursquare, along with a variety of other public social platforms. So what you need to do is connect together all of these accounts, as Klout claims that connecting them together will indeed ultimately improve your score. According to social media experts, it’s recommended that you don’t just network strictly on Twitter, but also connect with those who are on Google+, Facebook, LinkedIn etc. It should also be noted that Klout has recently placed a lot of weight on Facebook. So keep track of how you use and manage all of the various online channels, and how you engage with your various connections while increasing your social media footprint. What you do in one channel will usually complement all of the other channels as well. So for instance, if there’s an opportunity where you can extend your reach using LinkedIn, then by all means do so. What you want to do is create relevant content which others will find useful and will be willing to retweet, share, or pass it along. So write articles which they want to “share” with others, and make sure that you include videos and photos as well. Your ultimate Klout score will depend on how often you use the social web, as well as how influential the people that you engage with are. But know that all of these strategies can be completely worthless if you don’t create content which others are willing and wanting to distribute. So once you begin developing better content, then others will naturallly begin to follow suit, and gladly begin sharing your information. Then begin interacting with your network as much as possible by reaching out and helping those individuals in your industry or sector. What’s also required is being as consistent as possible, and then eventually, you’ll get that higher Klout score.